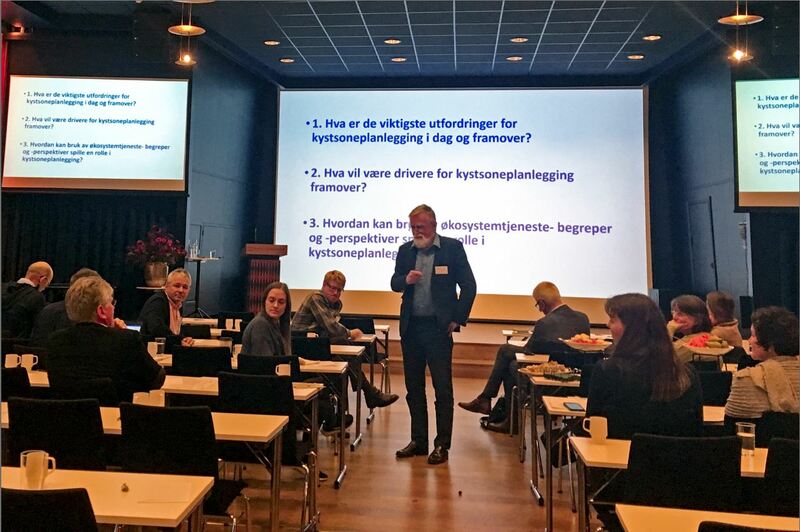 This October, Coreplan arranged workshops in the counties Troms and Hordaland. The participants were employees in municipalities, counties, state sector authorities, and stakeholders. Prior to the meeting, the participants received written background information about coastal zone planning and about the term ecosystem services. This memo was the basis for a discussion of challenges to and drivers for coastal zone planning today and in the future. Participants were also asked how perspectives on ecosystem services can make a difference in planning. The discussions were of high value, and gave useful insights into the challenges faced by practitioners. In addition, the participants were invited to take part in a short survey. Early next year, Coreplan will publish a report with findings from the workshops and surveys.